UND released the vb schedule for 2016. Good home slate with a couple tournaments in the Betty to start the season. Also of note, we play NDSU, USD, SDSU, and Minnesota...all on the road. Wow... what a grueling schedule that will be. It should be noted that Fargo South's Emily Stroup will be on that Ole Miss roster. The Texas Tech schedule shows that TCU will be playing NDSU and SDSU in the Bunker gym in Fargo. Guess UTEP will play those two schools too in reverse order, so both TCU and UTEP will get three games out of the flight. Here's hoping we do for you what we did for UMD Hockey when they opened the new DECC. Is there any building from Fargo to Vermillion that's not named Sanford? That is a nice looking building they are getting. Just in Brookings. Sanford is the Walmart of medical facilities...its everywhere. Looks like Sprengleler, Place, Spacek and Harnett are gone from the roster. All freshmen. Place seemed to be one that wanted to play closer to home, not sure on the others. As far as new faces: Ziegler, Brueggeman and Johnson are freshmen recruits officially announced by UND in December. Tepavac, Merceli (JC transfers) and Vail (Baylor transfer) were announced this spring. Chai Pappa from Stanley played at Bismarck State last year and was NJCAA honorable mention All-American. Tamika Brekke from Eden Prairie was at North Carolina Central last year. I assume she will have to sit a year like Vail. Maggie Smith is a freshman from Colorado. I guess she gave a verbal commit in April but I saw no mention of it from UND. She is a PWO. 9 new faces this year, 8 last year. Do you know the details on transfer rules? I am not certain but I don't think you need to sit a year when transferring and play volleyball. I wasn't aware that volleyball was treated differently than basketball or football but I guess that it is. They could play immediately under One-Time Transfer Exception. Thanks! About 10 minutes away from the Green & White scrimmage. I will update best I can. First set over 25-21. Unfortunately, I didn't see many flashes of brilliance. Lots of tips, soft spikes, and plenty of miscues. Best thing if the match was a Faith Dooley cut shot from the left side that hit around the 10-ft line. Hoping for more from set 2. 2nd set more lopsided 25-12. Play not a whole lot better. Dooley tried the cut shot a couple more times, but went wide both times. Merseli and Johnson each had some good contact. Vail can't get her jump timed with the set. And unfortunately, I don't know if Julia K will ever be her former self. 3rd set was a little more inspired play. Dooley was dominant at times. A few long rallies to keep it entertaining. It be interesting to see what happens when they are put in a game situation. We shall see on Friday night! Who were some of the players that stood out in the scrimmage? How did the setters end up doing? Setters are fine. Maybe the hitters were just having a bad night - % was 0.1xx for one team and -0.0xx for the other at one point. Dooley was the most dominant. Her strength seems to have improved. Previous heavy hitters Moser and Julia K were not impressive. Amelia Johnson and Ashley Bruggeman may get playing time as freshmen. Baylor transfer Jordan Vail was really out of sync. UND takes set 1. 25-17. Against UNO. UND takes set 2. 25-12. 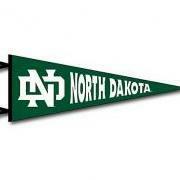 UND SWEEPS!!!! Takes set 3. 25-18. Looked like a great crowd tonight. Lots of students - a very good thing! !